"We came at SSC to gain some new experience about working on a potential IT project. Well, this has happened, because we learned (and we're still learning) what does it mean to work in a team, to work in time and to be confident about the craziest ideas that came to our minds," says Diana, a participant of SSC Moldova when asked why he joined the Garage48 crash course into startup entrepreneurship. 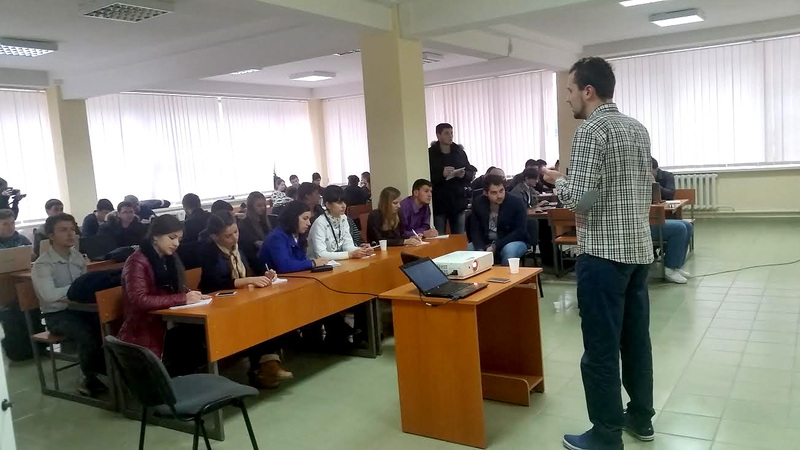 Total of 60 students are participating the week-long course at Technical University of Moldova 10-14 Nov, which is designed to provide IT, business and design students with the mindset, tools and confidence needed for launching new technology related businesses. Participants of SSC pitch their own ideas and form teams of mixed skills to turn these ideas into working prototypes. The week thereafter is devoted to teamwork, product development, working out the business model and customer acquisition strategies. The course consists of lectures, workshops, teamwork and lot's of one-on-one mentoring, aiming for all shared know-how to be applicable directly to the projects being worked on. Helping the students are mentors from Estonia, Latvia and Moldova. New web- and mobile applications in progress at Moldova are diverse, ranging from socially conscious services like fundraising for local schools to more commercial apps like a good restaurant finder. FundMySchool (WINNER!) - a web service that lets Moldova's schools raise funds for renovation, equipment and different other projects. Find them on Facebook. Active Citizens - a web service that lets active citizens find solutions to different society problems by collaboration. Find them on Facebook. HEYTours - a travel app that lets find locals from Moldova to give tours in the city. Find them on Facebook. YUM (FIRST RUNNER-UP!) - an Android app which allows easily find nearby restaurants and check their menus. Find them on Facebook. The Fridge - an recipe app that helps to make delicious dishes from ingredients user already has in the fridge. Find them on Facebook. ElisBook - A web service that lets users share their professional skills. Find them on Facebook. How Do I look - a web service that lets its users receive feedback for their appearance. Find them on Facebook. Essentials - a web service that lets to share easily information between students and universities in Moldova and take surveys to find fitting majors. Find them on Facebook. Contests of Moldova (SECOND RUNNER-UP! )- a web service that gathers promotional campaigns. Find them on Facebook. Smartest - web application that offers online tests for different olympiad subjects. Students seem to like the intensive camp format. "It is a great week for us. We came to Student Startup Camp to obtain some new skills from both technical aspects and team work that will help us to grow in different domains," said Serghei, a member of team The Fridge. ”It's the first time I participate in such event - and I didn't know before how much you can do in such a short period of time if you have a powerful team," adds Nicoleta, an economics major. The event is not only about hard work, but also meeting new people and working with international mentors. "I am attending such an event for first time but I love everything about this. First of all because I have passion for IT and for charity projects," says Alina from team Fund My School, "but also because I have met new people, and by new people I don't mean only students but also mentors. They are great!" Throughout the week teams were mentored by entrepreneurs and developers including CEO of Garage48 Krists Avots, hacker and an entrepreneur Martin Grüner, UI/UX designer Helen Kokk, front-end developer Maret Kruve and social media expert Jaan Kruusma. Also sharing their thoughts, with teams, were developer evangelist at Microsoft Petru Jucovschi, project manager of Starlab Tatiana Ciumacova and business developer of Starlab Oleg Burlacu. Mentors agree that teams have worked hard and deserve recognition. "All pivots have turned into considerable MVP-s. It's just amazing how well the teams have progressed during such a short period of time," said Helen. Jaan encourages all the teams to always keep on learning. "It doesn’t matter where you are from or what you already know - if you are motivated to learn, you will succeed." Potential is there and the mentors hope that the work will continue after the event. "There are lot's of talented people here who want to create something and make a change. Just a little more confidence and courage could make it happen," comments Maret. The event ends on Friday 14th with the teams pitching their ideas to the jury consisting of both local and international entrepreneurs. 10 teams presented their prototypes to the jury during the final demo Friday evening. The jury included Tim Org from USAID; Viorel Boston from Technical University of Moldova, Tatiana Ciumacova from Starnet and Oleg Burlacu from Starnet; also Krists Avots, Martin Grüner, Helen Kokk and Jaan Kruusma. After some deliberation, the jury decided to announce FundMySchool, platform for crowdfunding school renovations and equipment, as the winner of the event. "It's a good idea combined with good execution and a good example of solving real social issues with technology," explained Tim Org from USAID. 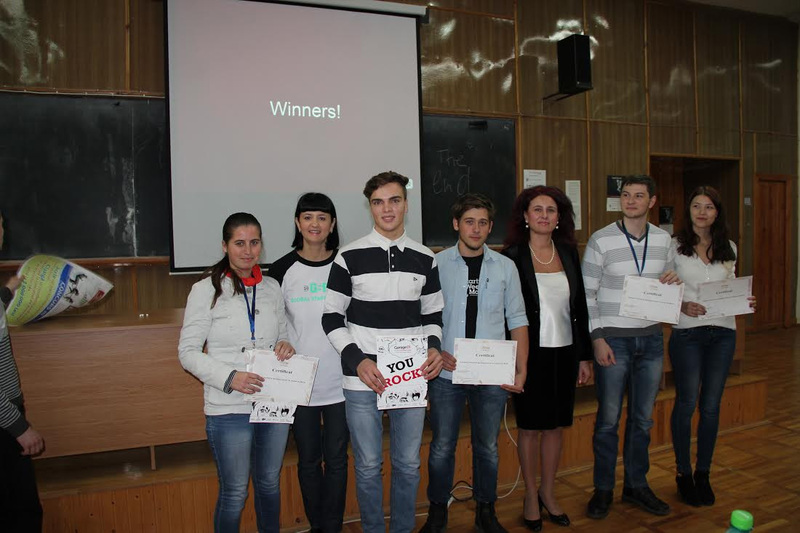 YUM, an app for finding good restaurants, was announced as the runner-up and promotion aggrevation platform Contest Moldova as the second runner-up. Huge thanks to our sponsors and supporters Estonian Development Cooperation, USAID, Competitiveness Enhancement Enterprise Development II (CEED II) and Technical University of Moldova.